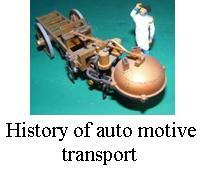 Joseph Aloysius Hansom’s cab of 1833 was unlike the vehicle that made his name a household word. Huge 7’ 6” (2.3m) diameter wheels made the absence of springs relatively unobjectionable! Edward Bulnois modified the Hansom using smaller wheels on a cranked axle. 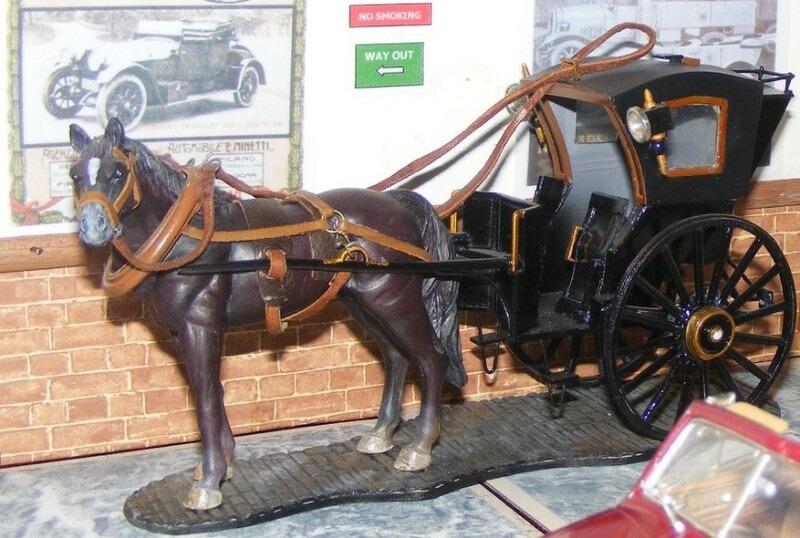 A better cab was patented by John Chapman but his company was bought out by the owners of the original Hansom cab patent. 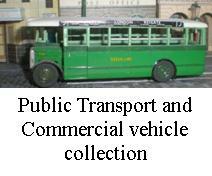 Chapman’s cabs were in all essentials the ‘hansom’ cabs which survived for the next 70 years. Due to the publicity given to the Hansom patent later cabs were still called by Hansoms name instead of their designer’s name. The model cab on display replicates a Forder built cab c.1890. Scratchbuilt 1/24th scale model. Model Built by Rod. Built around 2008, at the same time as the 1905 Vauxhall and the Vauxhall cab, this is a popular model amongst the display. 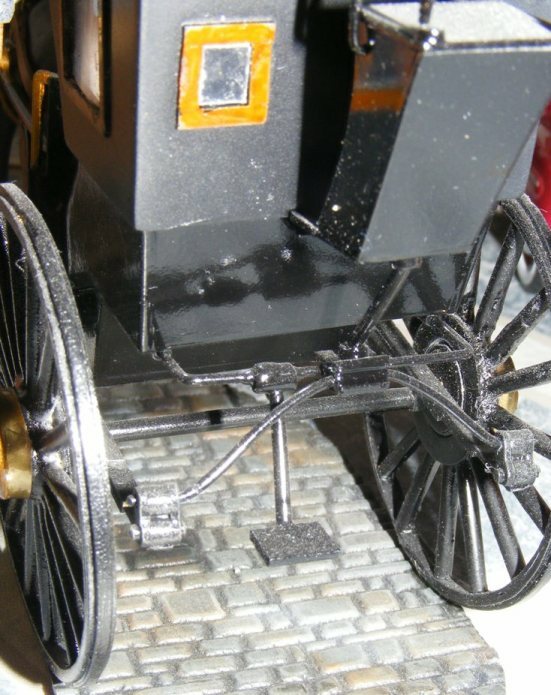 Together with the other models mentioned it helps show the transition from horse to internal combustion powered vehicles in the towns. Spray painted with Halfords car paints and the details picked out by brush with Humbrol enamel paints. 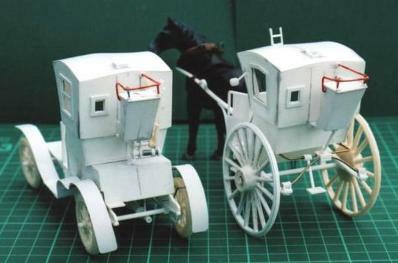 The horse was purchased from the Norfolk shire horse centre but its collar (scratch built in plastic) and harness (scratch built in real leather) were all added by Rod.